People with musical training make better choices and their brains process information more efficiently. Musical training can boost the executive brain function of both adults and children, according to new research. 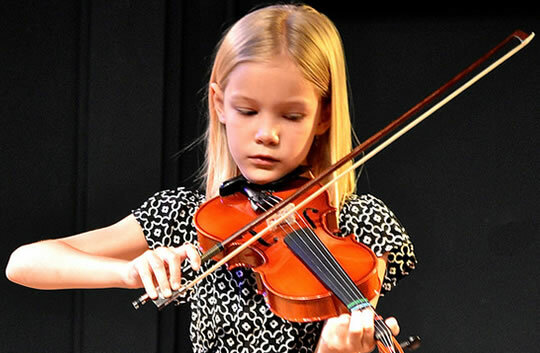 Both the brains and behaviour of adult and child musicians were compared with non-musicians in the study by researchers at the Boston Children’s Hospital. Fifteen musically trained children and 15 adult professional musicians were recruited and matched with non-musicians on a number of variables, like family income, IQ, parental education and so on. “Adult musicians compared to non-musicians showed enhanced performance on measures of cognitive flexibility, working memory, and verbal fluency. Collectively these skills are known by psychologists as ‘executive functioning’. High levels of executive functioning are what allow people to make good choices, effective plans and be flexible when situations change. It also enables them to process information quickly and efficiently. Unsurprisingly these skills are strongly associated with academic achievement. “Since executive functioning is a strong predictor of academic achievement, even more than IQ, we think our findings have strong educational implications. Along with these behavioural measures, the researchers also looked at activity in the brain. They found enhanced activity in areas of the prefrontal cortex which are involved in how we switch efficiently between tasks. “Musicians have shown enhanced language skills compared to non-musicians across several domains, namely vocabulary knowledge, pitch processing in speech, selective attention for speech in noise, and prosody perception. Perceptual abilities in the music domain have been shown to correlate with early reading skills and phonological processing in pre-readers and kindergarten-age children. On top of these, this study provides good evidence for the powerful effects of music in enhancing the executive functioning of both children and adults. “Our results may also have implications for children and adults who are struggling with executive functioning, such as children with ADHD or [the] elderly.